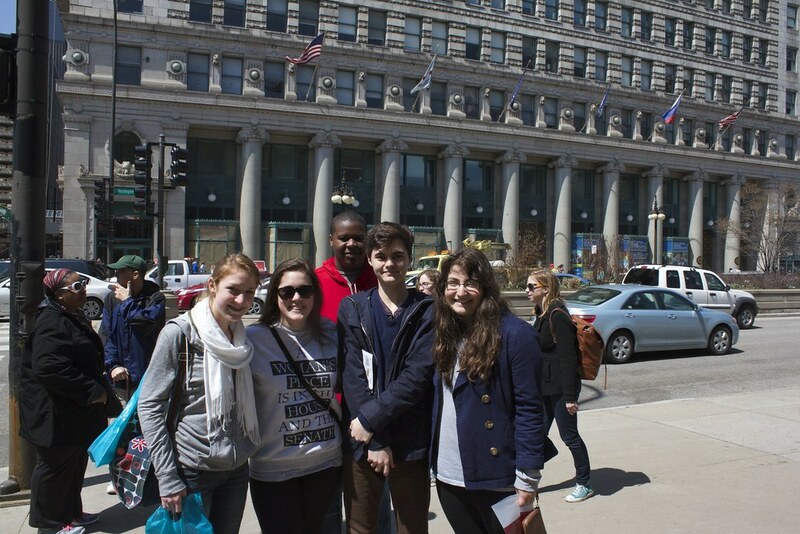 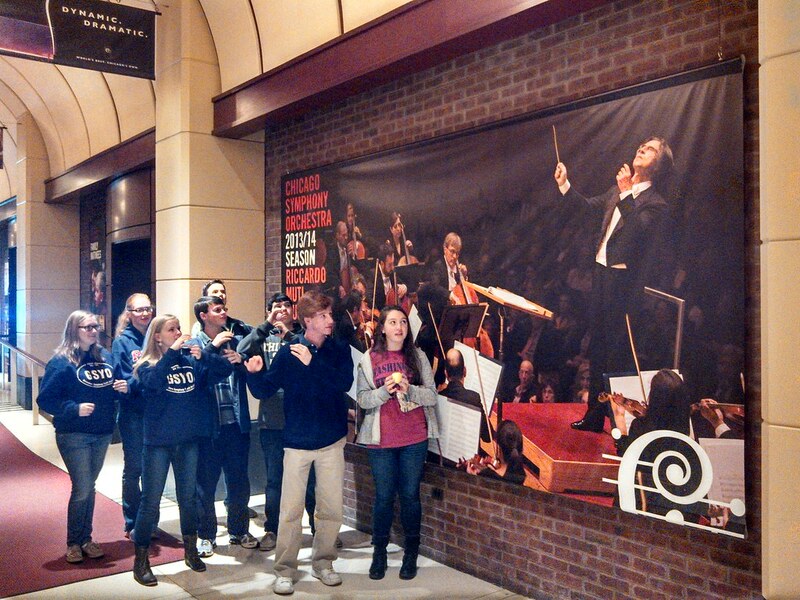 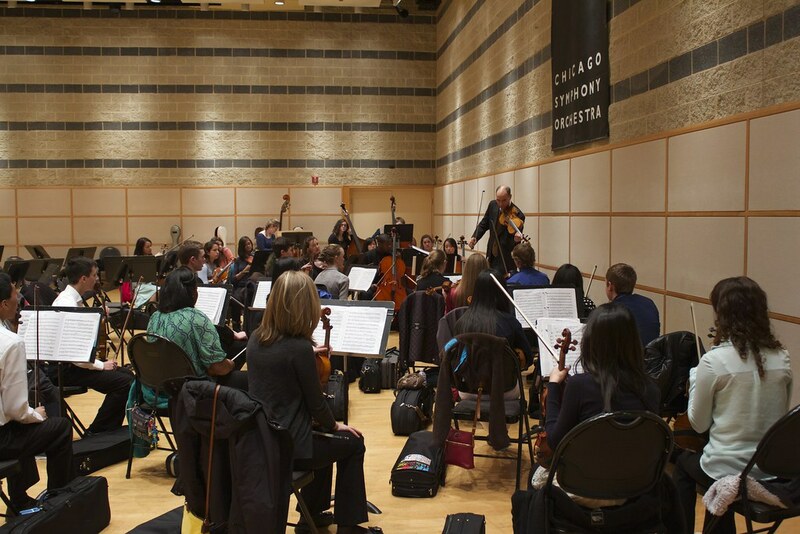 The Youth Orchestra traveled to Chicago in April 2014 to hear Chicago Symphony Orchestra, be coached by CSO members, experience many of Chicago’s best cultural offerings, and perform Charlie Chaplin’s own score to his silent film ‘The Kid,’ for a live screening at the Patio Theater, as part of the Silent Film Society of Chicago‘s season (audience reviews can be seen on their Facebook page). 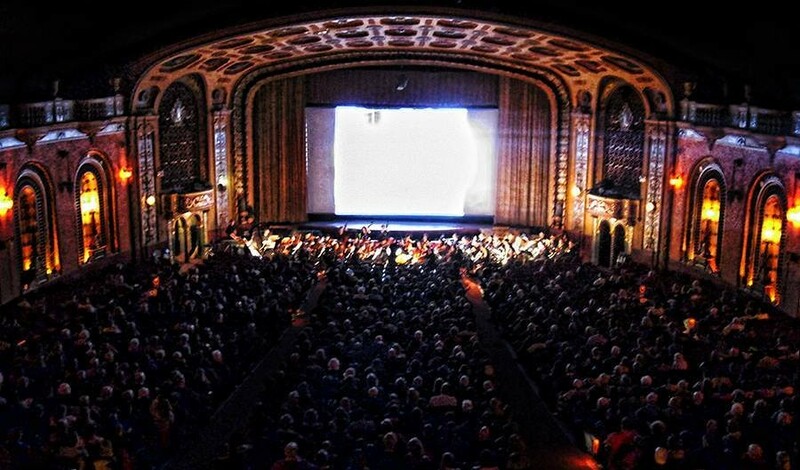 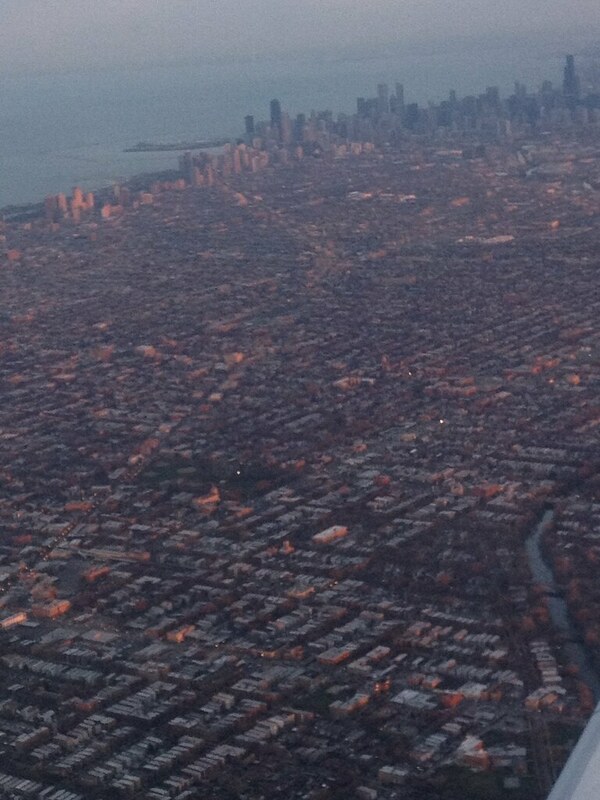 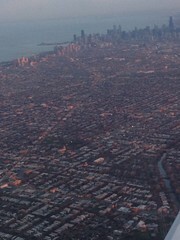 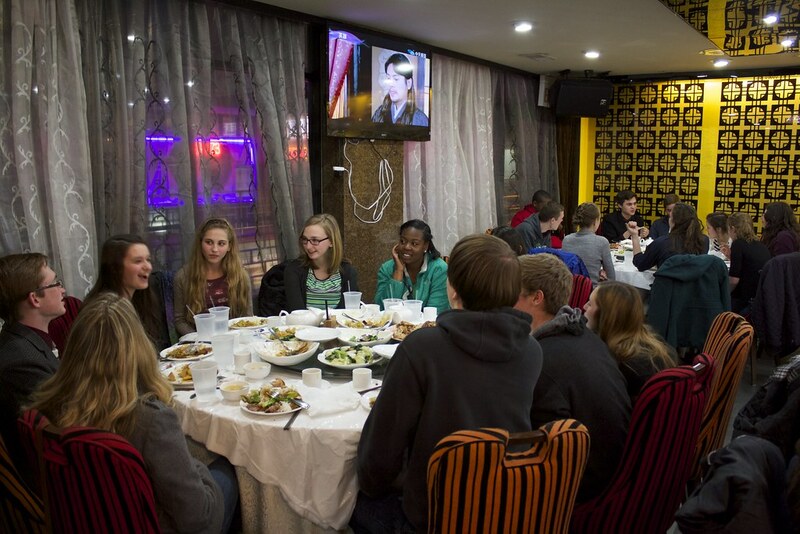 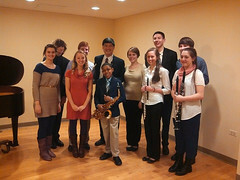 Read more about the trip and performance in Chicago Reader and Greensboro News & Record. 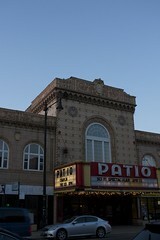 Below are selections from member-contributed photos. 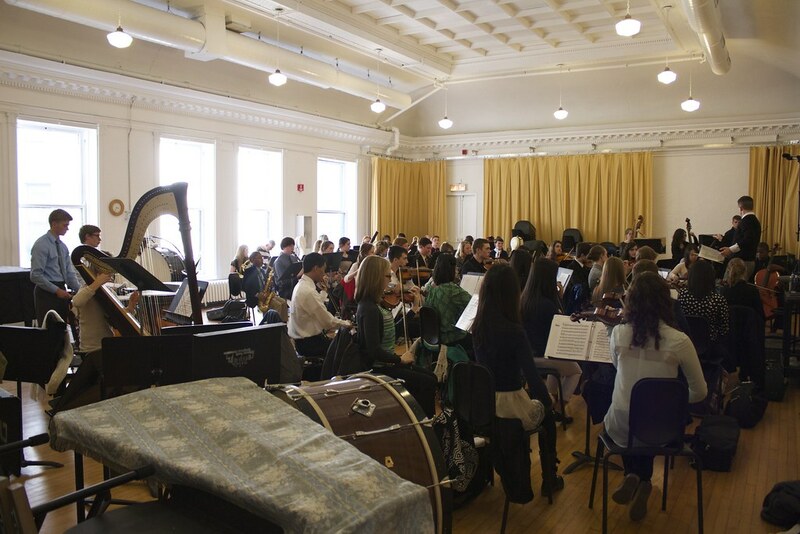 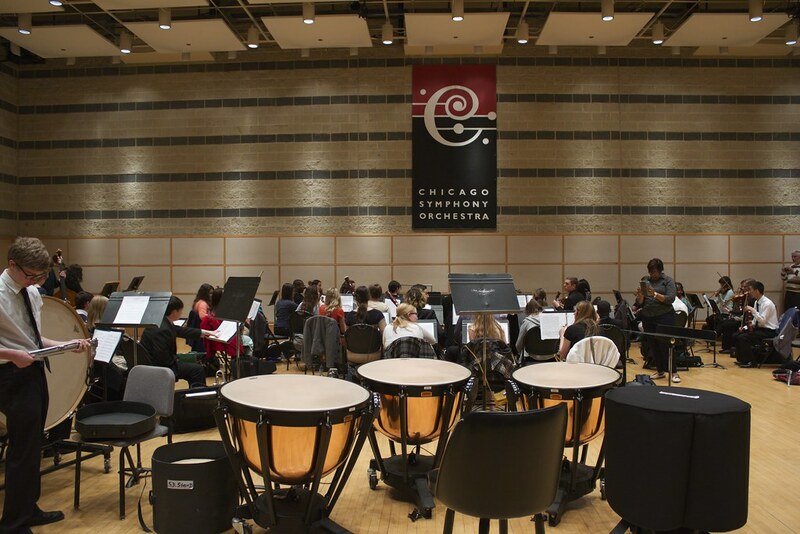 Warmup rehearsal at the Fine Arts Building, also the home of Chicago Youth Symphony Orchestra, before the coaching with Chicago Symphony members. 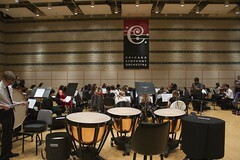 Setup before coaching with members of Chicago Symphony Orchestra, at Symphony Center. GSYO woodwinds after a sectional with John Bruce Yeh, Acting Principal Clarinet, Chicago Symphony. 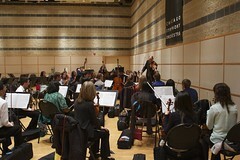 String sectional with Lawrence Neuman, Viola, Chicago Symphony Orchestra. 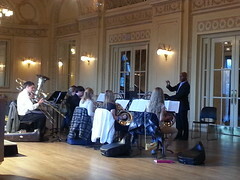 Brass sectional with Tage Larson, 4th/Utility Trumpet, Chicago Symphony Orchestra, at Symphony Center. Frozen in time with Maestro Muti at Symphony Center. 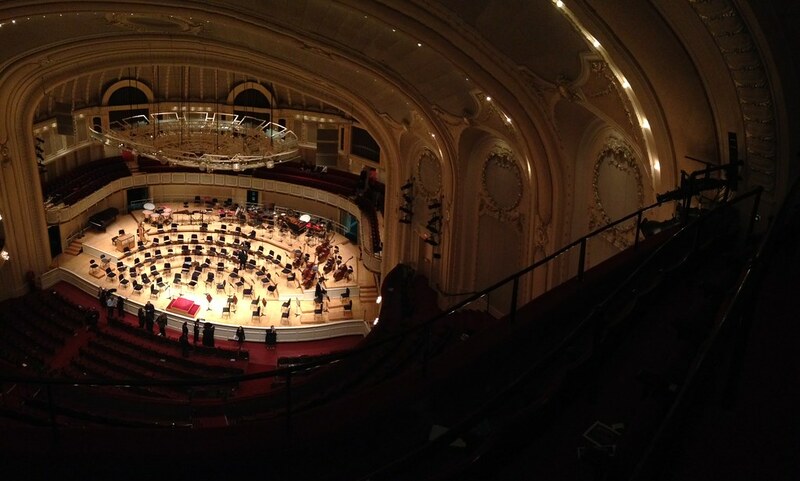 The view of the stage at Symphony Center, after hearing Chicago Symphony Orchestra conducted by Leonard Slatkin, with Anne Akiko-Meyers, soloist. 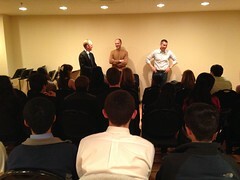 Post-concert Q & A with Christopher Martin, Principal Trumpet, and Brant Taylor, Cello, Chicago Symphony Orchestra. 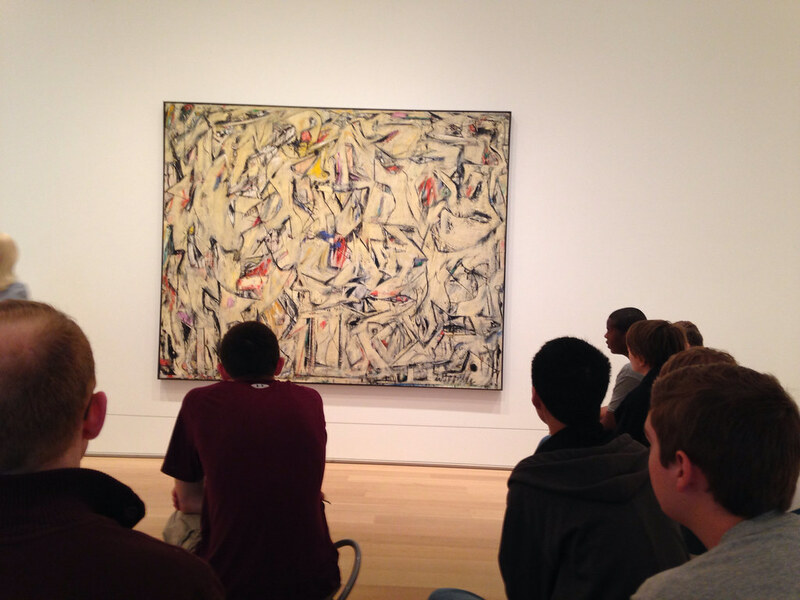 Hanging out on Michigan Ave.
William de Kooning - "Excavation" (1950) at the Art Institute of Chicago. 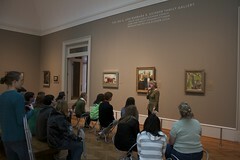 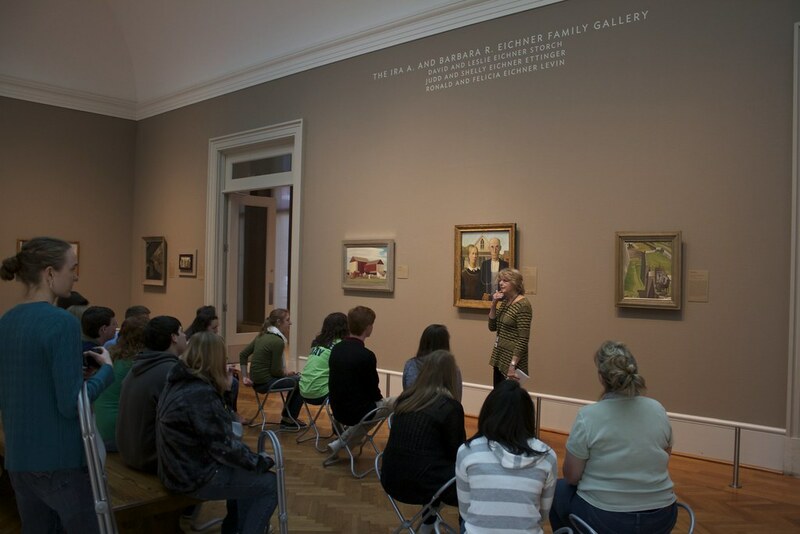 Looking at 'American Gothic' by Grant Wood, Art Institute of Chicago tour. 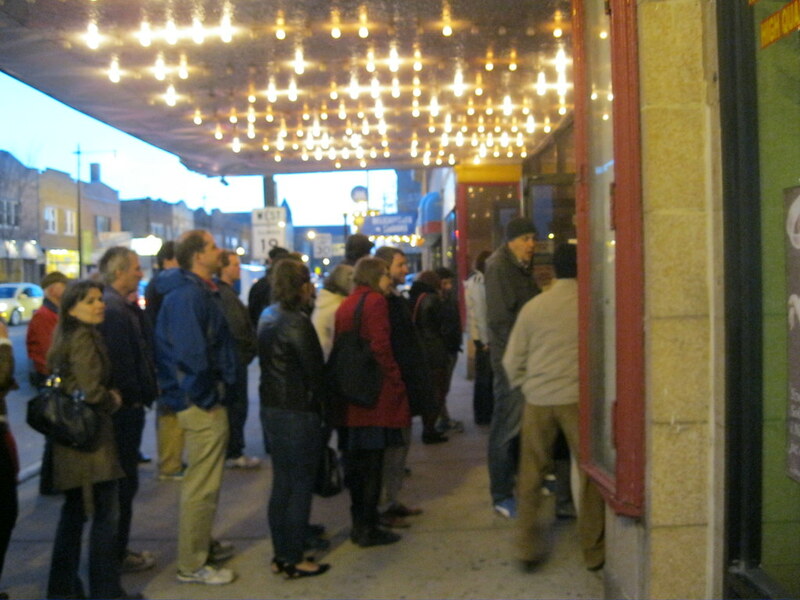 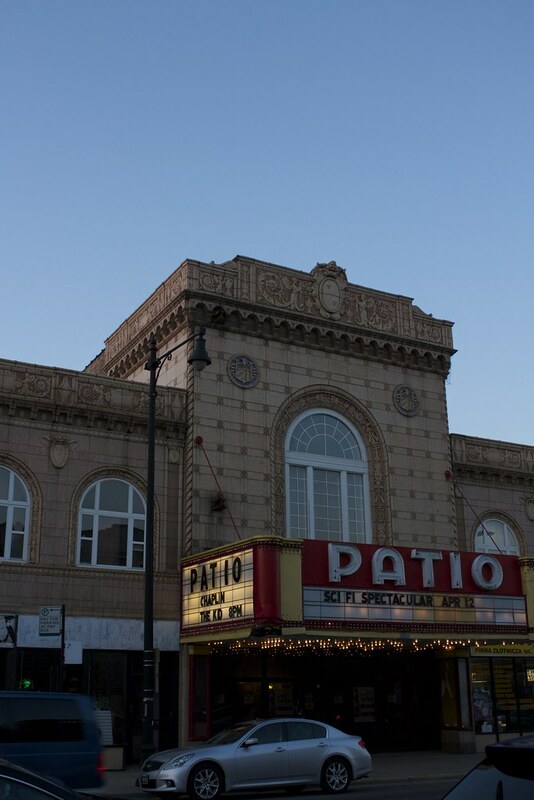 Audience in the ticket line at the Patio Theater. 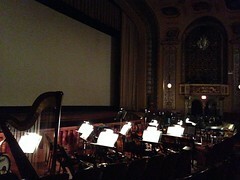 Orchestra setup at the Patio Theater, before the performance. The crowd at Charlie Chaplin's "The Kid", Patio Theater, Irving Park. 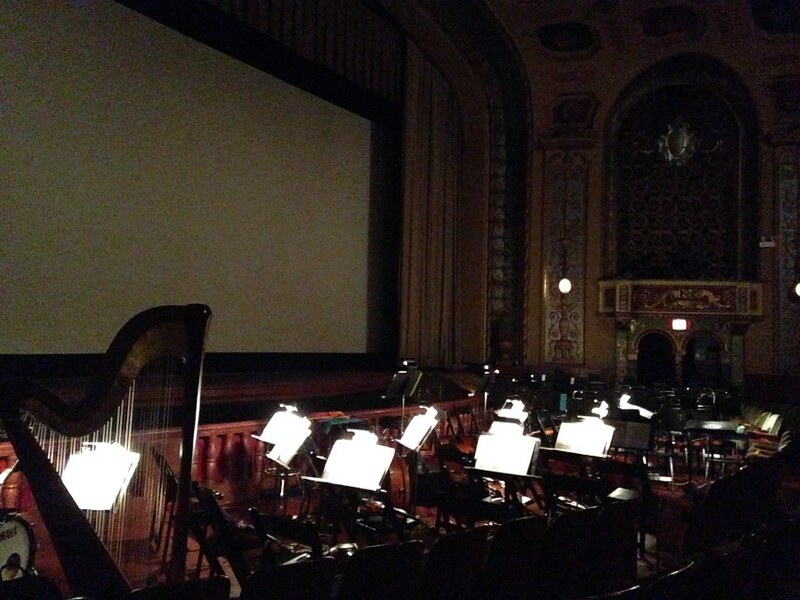 Silent Film Society of Chicago. 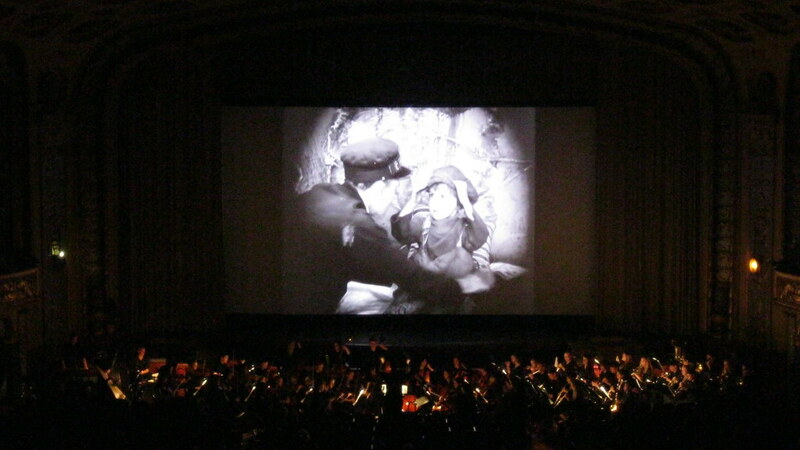 In action, accompanying Charlie Chaplin's 1921 film with his own 1971 score. 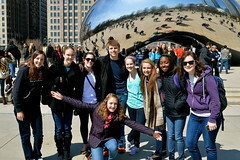 Hanging out at "The Bean"! 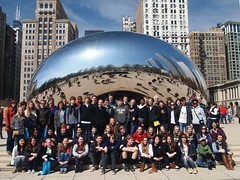 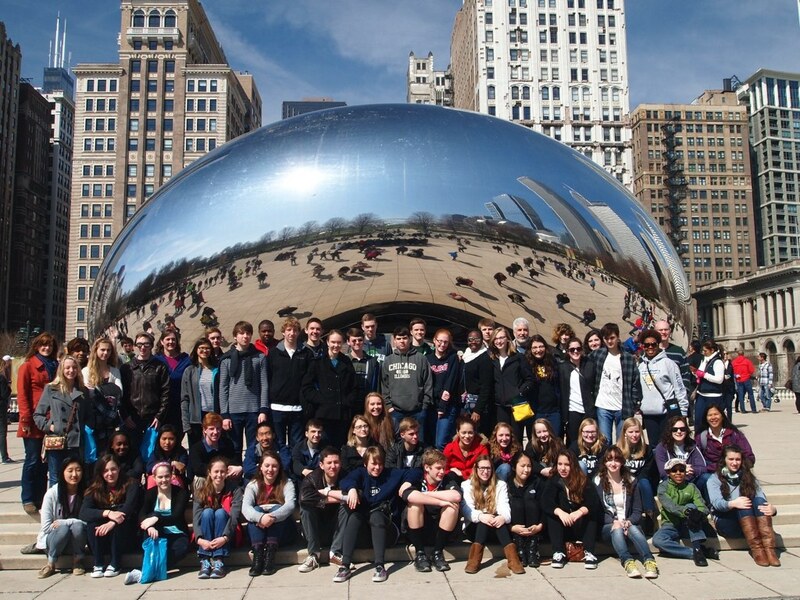 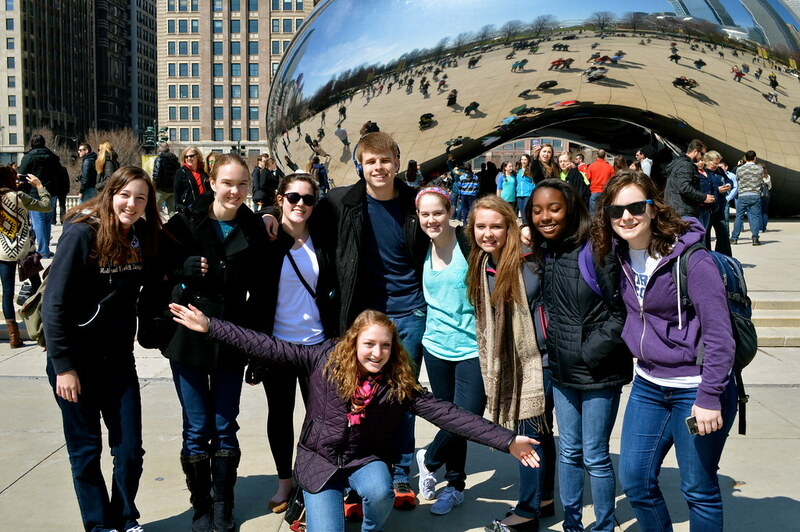 Group photo at "The Bean!"